Efforts to merge Norway’s counties, to make them bigger and better able to deliver more public services, have stranded in Finnmark and Troms. A heated battle over plans to merge the two northernmost counties now threatens to torpedo regional reform efforts all over the country: The government minister in charge said as much herself during a debate over Finnmark’s fate on Friday, amidst rising calls to re-start the whole process. Monica Mæland, the state minister in charge of local governments, said during Friday’s debate with Finnmark’s deputy mayor Tarjei Jensen Bech that the entire regional reform program can collapse if the disputed merger between Finnmark and neighboring Troms does. The merger between Finnmark and Troms has already ground to a halt, following a referendum in May that showed more than 80 percent of Finnmark’s voters oppose it. 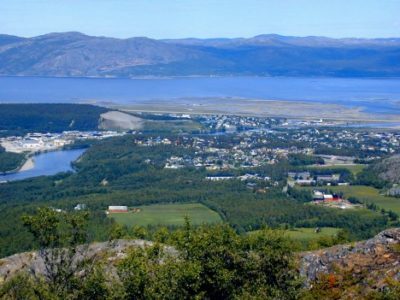 Finnmark officials then refused to take part in the formation of a joint commission charged with carrying out the merger process. Troms refused to take part earlier this month, sending the ball back to Mæland for the next move. She has flatly refused to carry out the merger from Oslo and claims she doesn’t even have the authority to do so. The whole purpose of regional reform was to transfer more power from the state to bigger, stronger but fewer county jurisdictions. The reform effort, approved and thus ordered by Parliament, aims to reduce Norway’s total number of counties from its current 19 to just 11 by January 2020. But they claim they won’t and say they can’t. There’s been too much disagreement over the most basic issues, with even the joint name of a new huge merged county the subject of disute. A merged county of Finnmark og Troms would be bigger than Denmark in terms of geographic area, but still relatively small in terms of population. The stand-off has prompted law professor Eivind Smith at the University of Oslo to claim that it means Mæland now must ask the Parliament’s permission to force the merger through. 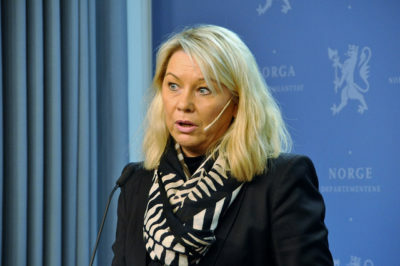 “She has no authority under current law to set up other mechanisms that Troms wants,” Smith told Aftenposten. Troms, for example, has asked for an elections board to conduct local elections in 2019 and set up a budget for the first year of a new merged county. Most of the opposition parties in Parliament are calling for at least a pause in the merger process, if not a total re-start. Now the centrist Christian Democrats, which holds the swing vote in Parliament on any issues of dispute between the opposition parties and the conservative government’s parties, want to re-think the merger and the entire reform process, too. “I think the process began at the wrong end,” Svein Iversen of the Christian Democrats, told newspaper Dagsavisen. He thinks the goverment made a mistake in first setting up the new structure for the counties, before deciding what new assignments will be transferred to them. Neither Parliament nor the counties themselves will know what their new duties will be until later this fall. Others within the Christian Democrats have also admitted that Norway’s overall reform process should first have seen through mergers of the municipalities known as kommuner, before launching county mergers as well. The party, which had a formal agreement with the conservative government coalition at the time, takes its share of responsibility for that mistake, Geir Toskedal of the Christian Democrats told Dagsavisen. “We have to see whether we’re creating new huge new counties without content, or whether the content will be so much that it demands bigger counties,” Iversen said, adding that if content doesn’t meet expectations, he hopes the Christian Democrats will vote to scrap the entire reform process. Asked whether Finnmark County leaders lack respect for the Parliament, Bech told Norwegian Broadcasting (NRK) on Friday that they’ve tried to respect the reform process, “but it hasn’t been possible.” He claims he now has “a strong and clear ‘no'” from the voters of Finnmark, no matter what the Parliament says. There’s a good chance the Parliament will be presented with a new proposal from the opposition to essentially park the merger process, given all the fuss over it. It’s unclear whether that will also involve a lack of confidence in the government coalition itself, or if the government will merely lose prestige by failing to carry out all its regional reforms.